RIDGEFIELD PARK, N.J. -- The Bergen County Executive James Tedesco, Board of Chosen Freeholders and Department of Human Services Division of Veteran Services are inviting the public to a military appreciation ceremony on Thursday, May 19. 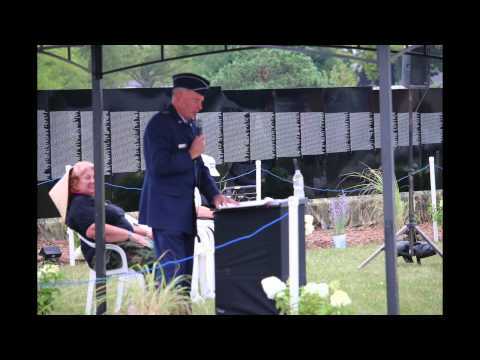 The "Moving Wall" memorial is a half-size replica of the Vietnam Memorial Wall, which honors the brave soldiers, sailors, airmen, Marines, Coast Guardsmen and reservists that made the ultimate sacrifice in that conflict. A memorial service will be held near the Moving Wall on the Great Lawn of the Overpeck County Park. The more than 180 veterans from Bergen County who died in that conflict will be honored by having their names read at the service. Relatives of veterans who passed in the Vietnam War who would like to add names to the list should contact Fred Hayo at the Bergen County Division of Veterans Services, at 201-336-6330. The Thursday ceremony will be at 5:30 p.m, Amphitheater, on Challenger Road. Subsequently, the memorial can be viewed May 20-23, from 7 a.m. to 10 p.m. Call 201-336-6325 or email veterans@co.bergen.nj.us for more information.